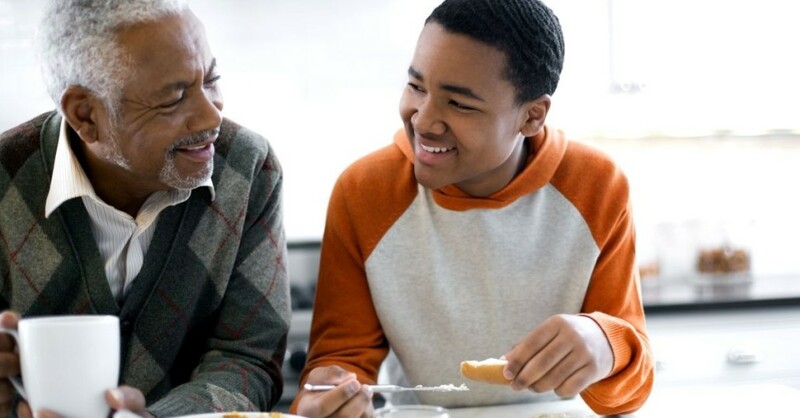 Parents of middle school and high school students who want their sons and daughters to be successful should take time to discuss steps they can begin taking to ensure they’ll be better prepared and able to reach their full potential. Be educated and a lifelong learner. Create and maintain a Success Team. Use an effective decision-making process. Market yourself and interview positively. Understand how to find a job. Access and download the free Be Life Ready Guidebook at www.belifeready.com. Spend time with your child reviewing its content and each of the Keys to Be Life Ready. By doing so, you and your child can begin to discuss the importance of sharing responsibility for increasing their chances of achieving higher levels of academic, career, and personal success by addressing and using commonsense approaches and practical information included in the Keys to Be Life Ready. Together view the 6-minute Introduction to Be Life Ready video available on the Be Life Ready web page and then discuss how accepting the Be Life Ready Challenge would impact what your child feels, thinks, does, and could become. Take time to review each of the different tools available in the Be Life Ready workbook and how each one of them could benefit him or her. Take positive action by printing the Be Life Ready Pledge available on the Be Life Ready web page and have your child sign it to indicate that he or she is willing to make the commitment to accept responsibility and work hard addressing the Keys to Be Life Ready and strive to reach their full potential. As a parent you can sign the Be Life Ready pledge below your child’s signature to show your support and indicate that you want to play an important role in participating with and helping your child honor his or her commitment to work hard by accepting the Be Life Ready Challenge. Your child’s future success will be significantly impacted by how much time and effort you put into providing the support he or she needs while addressing each of the Keys to Be Life Ready. By encouraging your child throughout the process you’ll be increasing the chances of him or her being able to make future life-impacting decisions that will produce favorable outcomes leading to a happier, more successful life. Isn’t that what every parent wants for each of their children? It’s your decision. It’s your child’s life. Use the Be Life Ready Challenge to act as a catalyst for inspiring him or her to gain confidence and achieve greater academic, career, and personal success on the path to a more satisfying life. Be Life Ready® is a registered trademark of Life Decisions Group, LLC. All Rights Reserved. 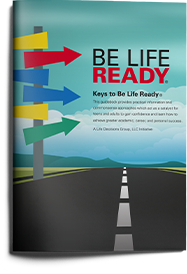 Individuals may purchase a single copy of the Be Life Ready® Guidebook while group facilitators can choose to purchase additional copies at discounted rates when ordering quantities of 25 or more books. © 2016 | Be Life Ready® is a registered trademark and an initiative of Life Decisions Group, LLC. All Rights Reserved.